The house was quiet with the hushed sounds of sleep machines and the muted volume of HGTV. My kids were finally asleep and honestly, I could have done a little dance knowing my mom duties were done for the day. Yet I felt the urge to make some adorable and delicious treats for the kid’s teachers. I think somewhere deep inside I wanted to prove that I was a Super Mom, too. With the holidays rapidly approaching, I feel the Super Moms of the world pressuring me to create perfectly crafted gifts and wow the masses with my culinary skills. After all, that’s what you Super Moms do; you pour your heart and soul into crafts, baking, and chairing every school committee you can think of, proving to the world that you can do it all. You leave others in your wake wowed and awed by your skills and have them wishing for an ounce of your talent. 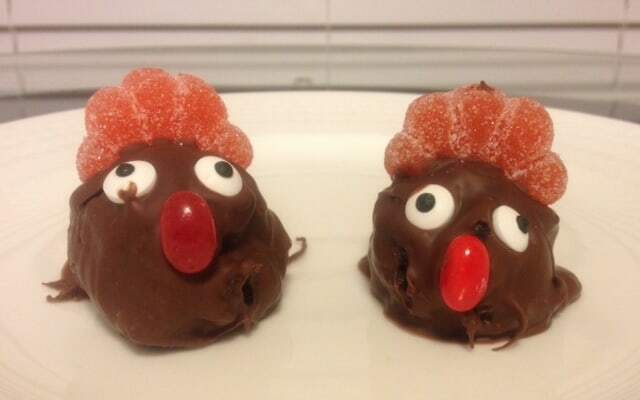 So there I was, determined to impress my kid’s teachers with Oreo Truffle turkeys and do at least one thing like a Super Mom. When my turkeys turned out looking like melted Muppets, I had to laugh out loud as I was jolted back to reality. And I couldn’t stop laughing! Not only should my turkeys have been on a board of Pinterest fails, but they weren’t even presentable! When I finally regained my composure, I had a moment of self-reflection. I am not a Super Mom. My baked goods will never grace the cover of a magazine and after being a teacher for 14 years, I will probably never chair a school committee. I’m not the mom that can do it all and I’m ok with that. Looking in the mirror each day, I’m learning to embrace who God made me to be and the talents He bestowed upon me for His glory. There’s freedom in knowing that my self worth isn’t tied into my ability to provide my kids with over- the- top experiences and food turned into animals or shapes. I am a super mom because I dry their tears, make them laugh, and will leave a sink full of dishes just to play catch with my tiny pitchers. A true super mom wipes noses and bottoms, cleans floors and dishes, and is more like a juggler than a super hero. A child doesn’t measure love by the amount of Pinterest projects his mom completes or by a perfectly cleaned house. Kids want a mom willing to get dirty, have sticky floors and be the best Elsa impersonator in the neighborhood. Kids want a real, authentic mom, who isn’t worried about impressing others or putting up the smoke and mirrors of perfection. There is no prize for seeming like you have it all together. You were never made to carry this unrealistic expectation and burden on your shoulders. You were never expected to do it all. So for the rest of us, the non-Super Moms, what we really want, is acceptance. We want to know that whether I purchase a cake from Costco or make my own masterpiece, there will only be grace and not judgement. We want to know that when I roll up to carpool and food tumbles onto the pavement from my rolling trash can, there won’t be snickers and giggles behind my back. Motherhood isn’t a competition, it should be a community. Mothers should be able to be real, honest, and vulnerable with our challenges and struggles. Motherhood isn’t about perfection, but the everyday moments spent with our loved ones that make up the days of our lives. So Super Mom, feel free to lay down your glue gun and take off your cape. It’s not needed or required to be accepted, but since I have a good sense of humor, feel free to laugh at my turkeys, just don’t judge me. Do you catch yourself trying to live up to the standards of a Super Mom or are you a Super Mom? Which side of the fence are you on? Déjà vu Sarah Ann! I can relate, especially to the pinterest fail. LOL! Great post. I love it. I think that a couple of people think I am close to being super mom but I feel like I am far from it. I have sticky floor, a sink full of dirty dishes, dance like a fool with the kids and sing horribly in the car. Amy, those things are exactly what make you a super mom! And you seem like you do amazing things with your kiddos! This is great. And so true that I think many of get caught up in every aspect of our lives being Pinterest-worthy. I do love Pinterest, but should certainly be careful not to let it get the best of me. I wrote a similar article this week about “Mom Guilt” and not being able to have it all! Here’s the link but I’ll add it to the Saturday link up! Jen recently posted…5 Not So Obvious Tips to Nail the Interview with ANN INC. I am the same way! I love Pinterest, but when it becomes a criteria for our lives and we put our self-worth in it, that ‘s when it becomes a problem. 🙂 I can’t wait to check out your article! First, my daughters are sitting next to me and LOVE your turkeys. Second, supermom doesn’t exist and I LOATHE when people call me that! Ha! Thanks so much Kristen! I hear you! I’m just a mom trying to do her best, not take on the world. Thanks so much for stopping by! I will be checking out your Gluten-Free Chocolate Chip Cookie recipe. I try so hard to be Super Mom…and I fall short every time. I needed this. Teresa (embracing the spectrum) recently posted…Medication Indecision: How Do You Decide What’s Best? Me too, Teresa! Let’s try to remember we weren’t designed to be perfect! Oh how I love those turkeys…they look just like something I’d do and make me feel at home here! I agree with your post totally. Thank you for affirming all of the moms out there! I am so glad you can relate! It makes me feel so much better about my crafting skills! I still try to be super mom – as long as I let it help me be the best me possible (and I don’t stress too much about *actually* being a super mom) I figure it’s okay. Even so, these reminders help me keep things in perspective. Thanks. Hi from the Monday Mommy blog hop! I think it’s natural to have the Super Mom desire in us and completely agree that it is how we handle it can make a big difference! Thanks for weighing in! This is just wonderful! Thank you the reminder that we are all super moms, even if we aren’t quite pinterest moms! Yes! I’m convinced that Super Moms are even more exhausted than regular moms, since they try to do it all. Oh my gosh! That was too funny!!! My only wish is that you would have given those muppet turkeys to the teachers anyway. I’m sure they would have appreciated them so much more than the super mom gifts! When my kids were young, I used to write notes to their teachers at Christmas. I can’t tell you how many teachers thanked me and told me that it was the best gift they ever received. I knew I wasn’t super mom, but boy, the criteria sure has changed! Good for you for not succumbing to the pressure! You know where your priorities are and where your worth come from. thanks for sharing from the heart! Visiting from Coffee and Conversation. Mary Dolan Flaherty recently posted…A Time of Thanks? Not So Much. Thanks, Mary for the encouragement! You should have seen the crazy treat bags the moms in the class passed out. I was just shocked that Halloween was recognized among students. In my 14 years of education, I think the Super Mom trend is out of control! Rachel, I would love to check out your blog and I totally agree that there are many talented moms out there who generally enjoy going the extra mile. For me, I am embracing that those things are not my gift and while I do enjoy a good DIY, it often doesn’t turn out well for me. 🙂 I personally just hate the pressure that comes from other moms to be “everything” and just wish for acceptance for everyone, amazing bakers and all! I have so much I would love to learn from others but often where I am from, there is judgement, which is SO unfortunate! Many blessings to you and your sweet spirit! This line: “A child doesn’t measure love by the amount of Pinterest projects his mom completes or by a perfectly cleaned house.” Words to remember, for sure. So glad that struck a chord with you! Something to remember for those moments when perfectionism creeps in! I loved this and you did make me crack up and laugh! Honestly, I’ve had my side of mess-ups, too, and really appreciate your heart! Thanks for sharing! I am so glad someone else can relate to my mess ups! I am not even close to perfect and I am really learning to be ok with that! Thanks! I am about to have some work done on my site and will bring that up! I always appreciate heads up like that! This is wonderful. And I like your turkeys. Or muppets. Donna, I so appreciate your encouragement! Blessings to you! I’m Sharla and I’m a recovering Supermom!!! Thanks for sharing this. I think my readers would really enjoy it so I’m going to share it later today on my Facebook page. P.S. I think your turkeys are rather adorable! Awww, thanks for the comment about my muppets! 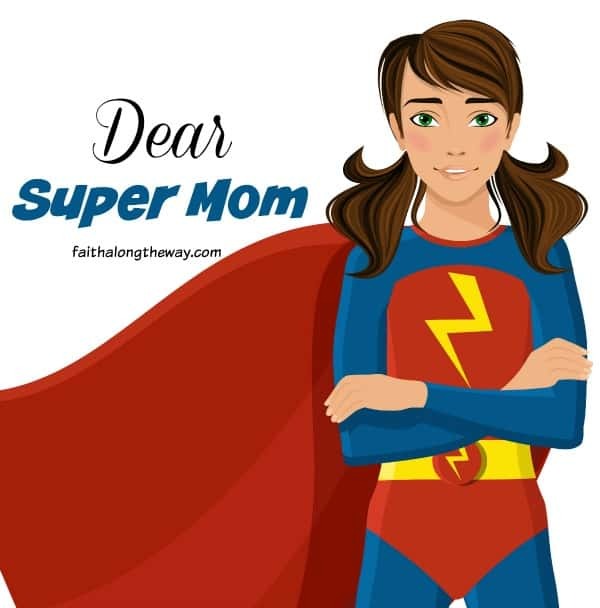 So glad you are a recovering Super Mom! It can be contagious! I think all mom’s are super moms!! I think your turkey’s are awesome! Pretty similar to how mine would turn out. Awww, thank you for your encouragement! They were ugly but delicious! yes to it all, great letter. It’s not a competition, we all need to stick together and pool our talents. I know my kid will remember all the wonderful memories we created and not miss out on the cutesy lunches or fancy crafts. I am not a super mom, but I don’t try to be. So long as my kids are happy and alive at the end of the day, everything is good! I think it’s about loving and parenting your kids the way that you do best, without expectations from others. There is such freedom in laying down the need to be perfect. This was such a good read and something I definitely needed. I’m not a mom yet, but that doesn’t stop me from feeling the pressure of needing to be superwoman. It wasn’t until I got sick with a crippling fever that I realized, I may not be superwoman but that doesn’t stop me from being super. I’ve since learned that we can do anything, but we can’t do everything. Us woman put way too much pressure on ourselves. We just need to learn how to breathe and realize that we are still amazing beings. It’s crazy to think about the pressure on us as women, and the sooner we accept who God made us to be, the sooner we can let those pressures go! It’s so easy to fall into the trap of trying to be supermom. We forget that the “perfect kids craft” on Pinterest was probably photographed 30+ times to get just the right picture to share. We forget that our friend who is working and still finds time to craft with the kids and bake on the weekends doesn’t get it all done every day. We are all supermoms, we need to remember that. Christina @There’s Just One Mommy recently posted…Nail Those Math Facts! Yes! We are all super moms as we love and minister to the children God blessed us with!